​Looking to dress your feline friend up for Halloween this year? Perhaps you want your cat to be the life of the party. Or perhaps it is a form of sweet sweet revenge for them sitting on your face every morning at 5:00 AM. Either way, you've come to the right place. Below you'll find the best cat Halloween costumes for cats! You will not find anything for humans here, so if you're looking for cat outfits for people then please look elsewhere. Otherwise, please either scroll on down or pop open the Table of Contents to find the best options for your cat in 2018! Are Costumes Safe For Your Cat? ​How Do I Measure My Cat For the Costume? ​How Do I Keep It On My Cat? ​If you're looking for your cat to be on top of it when it comes to the news cycle then you simply can't go wrong with this option in 2018. Trump and his team have dominated the news and boy have they swung opinions all about this year. This costume will certainly make your kitty a talking point for the evening. If you're looking to stir up some conversation then this is the choice for you. ​Looking to make your cat seem as fearsome as a lion this Halloween season? This mane will make your cat look just like a ferocious stalking lions that live on the African grasslands. While I can't guarantee it'll make your kitty actually ​do anything that lions do, except maybe continue sleeping all day, I can guarantee they'll certainly look the part more than they did before! 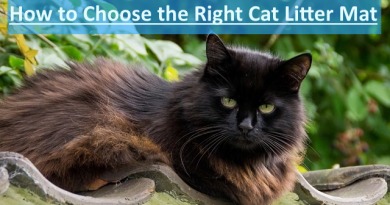 ​There are numerous variations in size and color, all just for cats, so you know it'll fit right! ​Now I know sometimes I end up thinking my cats can fly. They end up in places I can't imagine for animals without wings. So perhaps they are already hiding some inside their body somewhere. That being said, if you want your kitty to actually have wings visible to the outside world then you can pick up these awesome Cat Bat Wings! ​Does your cat like to cause royal rumbles in the house? Maybe a bit of an instigator when it comes to starting fights with his or her feline pals? Kind of makes you wish they could say "Throw down!" and whip out a couple of pistols right? If that's your dream then you've come to the right costume. This little costume will make your feline friend look like a straight up high noon cowboy! ​Do you have dreams that your cat roams the high seas as a corsair? Perhaps pouncing on unsuspecting merchant ships and killing all the rats on board? If so this is the costume just for you. It'll make your feline friend look just like they know how to say 'YARRR MATEY!' even though they're more likely to go 'Meowwwww' and not say matey at all. ​Does your cat always seem to ​want to run from the vet? Or doesn't have any interest in a check up or in her medication? I know neither of mine like anything related to their health, unless it involves sleep. So why don't we turn the tables? Turn your kitty into that which is they are afraid of most! Make them the doctor for a day and let them know how it feels to be a veterinarian! Perhaps everyone will run from them hehehe! The doctor is carrying a stethoscope and a ​medicine case too! Not only will your buddy look like a dapper sailor based on the hat, but you get a cool neck tie as well. Quite the dashing combo if you're looking to spruce your kitty up for the holidays and you know they don't like fully body costumes. ​If sometimes you don't think your cat has much of a brain...then maybe the scarecrow outfit is the right choice. ​It goes all the way back to the days of The Wizard of Oz! I know from time to time my cats both seem like they are already wearing this hat given the way they act...If your felines do silly stuff then this hat will fit them perfectly well! Lately we've been seeing all over the news that a seal ​slapped a kayaker with an octopus, ​this new costume means you can make your cat part of the fun! Dress your kitty up as an octopus and maybe grab yourself a kayak paddle out of the garage. People will get it for sure as the kids come by and trick or treat this year! ​If you find that your cat loooooves to do naughty things then this might be the perfect choice for you. Not only is it a fun little costume, but it'll frame your kitty up in the perfect light! As a the little devil he or she is. ​But at the same time your cat will also look cute as can be. We know cats are silly and they have a mind of their own so this is a great way to highlight their antics in good nature​. ​If you're looking to help promote the plight of the panda bear and you want your cat to look super cute for the holidays then this is a great choice. Not only is it a great single piece costume, but it looks adorable as well. It'll certainly help you kick off conversation around the difficult time panda bears are having in the wild due to humans creeping into their territory and destroying it (slowly but surely). Or if you don't want to get political and you just want a cute cat then this works too. ​Looking to truly make your kitty the bell of the ball at your Halloween party? If so, then you've stumbled onto the right costume! This beautiful wedding dress will make her look extra stunning, even if she's already gorgeous! It is inspired by spring flora and fauna sot it comes fully decorated with a couple of flowers to make your cat look like she loves your house plants. Which most of them do anyway, so a perfect fit! ​If you're looking for a tried and true go to costume for your cat then look no further. This classic witch hat will have everyone saying that your cat is playing his or her part perfectly at your upcoming Halloween party. ​While simple in design, that's the true beauty of it. It is a classic fall back costume for anyone that isn't brave enough to try one of the multi piece options. ​If you're looking for your cat to get underfoot and creep some people out then this is definitely the way to do it. You basically turn your cat into an extra large spider. It works even better if you've got an extremely friendly cat and if they're dark in color! ​Now you might be saying to yourself, what the heck is he doing adding a rabbit outfit to the Halloween Outfits? That's for Easter you might say! But you'd be wrong. Rabbits have a special place in my heart ever since I was a kid and I wanted to be a rabbit for Halloween. My mom and I spent hours and hours hot gluing cotton ball after cotton ball to a shirt to make me a rabbit. Then I ran through a pine tree between houses trick or treating and lost most of them...But still. ​This is probably a key question you have in mind if you're looking into a costume for your cat. The short answer is that yes, costumes are generally safe for your cat. There is a little more behind it though. You definitely should not put a costume on your cat and leave him or her unsupervised for extended periods of time. This is especially true if there are small pieces attached to the costume or if it has elastic that might wrap around the neck. Small objects can easily be pulled off the costume and swallowed. Elastic could potentially end up strangling your cat in extreme situations. That's the reason most of the costumes recommended here use Velcro instead of elastic. ​If you put your cat in a costume you should keep an eye on your cat the entire time the costume is on. 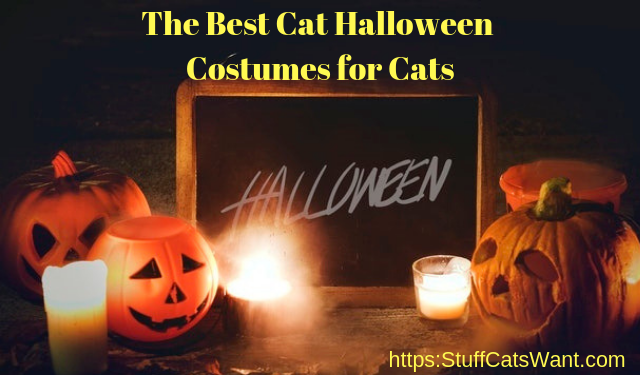 ​Even more so if you know that your cat doesn't like the costume and may try to pull it off or run into an enclosed space and hide. That being said, I've had plenty of costumes on Lexi and Beast and they've done fine with them. You just want to keep them on for short periods of time and then take them off and reward your cat with lots of love and treats. 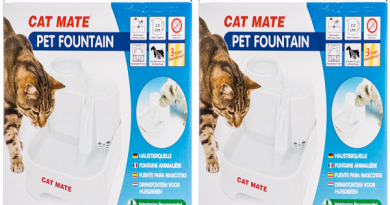 ​Which Is Right For My Cat? ​If you're a newbie when it comes to trying out costumes or trying things that your cat may dislike I would aim for the minimum as opposed to trying to ​choose the most complex costume. ​Basically, choose the least impactful costume and work your way up from there. Both of these costumes are simple one piece costumes that should ensure your have the minimum impact on your cat. They're also both super easy to get on and off based on where you attach them. There's no complex buttons or multi point attachments. ​If you've already got a few costumes under your belt then feel free to aim for any costume that you think will make the biggest splash for your pictures or your party! Just be sure to take some time and get your cat acclimated to the costume before you try to put it on them for hours on end. ​Measurement is pretty straight forward when it comes to cat costumes. 99% of ​them require something to go around your cat's neck and the rest require something to go around your cat's head. For measuring your cat's head or neck you'll want a piece of string handy and a ruler. Simply lightly wrap the string around your cat's neck or her head and then mark the spot on the string where it comes back together. Be sure not to pull the string tight, you'll want it a ​little loose. Then just check the marking on the ruler and you'll be in good shape. ​The short answer to this question is...It'll depend on the cat. A lot of cats are simply not going to like wearing costumes no matter what you do or how hard you try. If that's the case you'll just have to put the costume on, snap your photos, and take the costume off before your cat swears sweet sweet revenge. For those of you who have super chill cats, we all envy you and we wish we could put costumes on our cats like you do! That being said, there is some hope for us folks with cats that tolerate costumes. 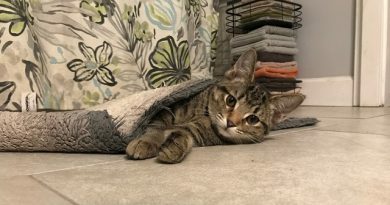 ​There are a few things you can do to try and ease the process or at least make it far less painful and terrible for your cat. Don't simply buy the costume and try to jam your cat into it. ​First and foremost, be sure to buy it in advance of whatever day you plan to use it. Give your cat time to smell it and get used to it. Set it in her bed for a few days so her scent is on it. When you first put it on your cat only put it on for a few minutes before taking it off and rewarding her with treats or whatever it is she likes. Slowly up the amount of time you keep it on. Feliway Spray can go a long way in helping your cat relax in general. It is definitely worth considering a spray or two of Feliway on any costume you are attempting to put your cat into. ​Clearly these are just a few of the hundreds of different cat Halloween costumes for cats on the market, but they are definitely some of the best around. If you're looking for some additional entertainment, looking to humiliate your cat for a few minutes, or just looking to snap some cute seasonal photos, then you can't go wrong with any of the above. If you've got a great costume or if you've got some recommendations or tips on how ​to get your cat to love wearing a costume then please do let us know by leaving a comment below! And if you have pictures of your cat dressed up then be sure to send them my way so I can share them! Per usual thank you for reading and please share this article if you found it useful! Now that’s a really funny article, it really made my day. I have seen the spider harness in a few youtube videos and it really looks funny and scary if you see it at night with low light. I would like to have it in order to pull a few pranks on some of my friends. That would be priceless! Thanks for sharing. I would love to try it as well! My biggest concern is I think you have to have a pretty outgoing cat to both keep it on long term and to actually go up to friends and strangers to startle them! So if you want to do this you’ll want to get it ASAP and start training your kitty! Hahaha, you made my day. I love the princess wedding dress. It will be very cute for my daughters’ cat. It’s a mother now, hoping it will fit to its big tummy. I think the Panda Bear will be taken off just after its worn. Our cat hates anything on its head. I also love the lion mane. But same with the Panda, our cat will hate it. Well, cats generally don’t particularly love costumes, but that is great you’ve already identified that your cat doesn’t like anything on her head. That makes it far easier to choose the right options! I dressed my black cat up with a Batman costume last Halloween and got a lot of people coming up to me and telling me how cute it was. These suggestions you listed on this article are all pretty interesting, especially the Trump one. But since any mention of politics seems to evoke a lot of emotion, I wonder if dressing my cat up as Trump would be a good idea? It will make him a talking point of the evening all right, but maybe not in a good way. Come to think of it, the lion mane might be the better way to go. The Trump Costume could potentially cause some issues if you have a crowd of people that are very polarized. You’ll have to be careful of where you pull that costume out for sure! The batman and the spider options are definitely more traditional and safe for pretty much any crowd! These are hilarious! Just so happens that that I posted a segment on my website on Halloween costumes for dogs. The photos are funny because they all look so put-out. Ha! Some people think its mean to dress up your pets…but lets face it we are just looking for a photo opportunity…we aren’t making them wear it all night while they go trick or treating! You did a good job of address the safety and ethical nature of costumes. Our pets love our attention and for most this is just a game to them. It was funny, growing up we had a dinosaur costume for our black lab and she didn’t mind it at all. She just went on about her life as if everything was normal. I wish my cats were like that, but unfortunately they are a little less accepting. We definitely have to aim for short periods with the kitties because you’re right, they don’t love them! Love it! Cat Halloween Costumes this is fantastic so glad I found your site today. I just love the car corsair pirate costume its super cute and look great on my cat! this one can be used all year round and not just for Halloween. We also have a black cat so I love the bat wings there just great. Great advise to let the cat get used to the costume and get her own scent on it before jumping in and putting it straight on, because I was quite sure my cat would just wiggle around until she got the costume off, so that is great advise. Glad you found it helpful. Send us a picture of your cat in the corsair costume and I’ll post it up right next to the costume in the list!